We searched far and wide to find a roller that would lay down the right amount of glue, that wouldn’t fall apart and would last for multiple glue-ups. What we found was this metal handled roller, which stands up to many, many uses. There is not too much fuzzy nap to trap expensive glue into, and it releases the glue nicely. We recommend using these for all your pre-shaped skateboard builds. 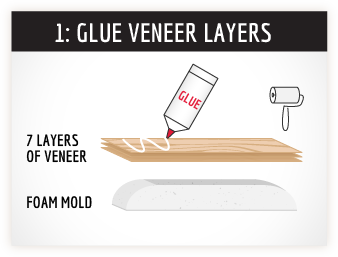 Pour the correct amount of glue directly onto veneer sheets and use roller to evenly spread the glue onto the entire sheet. If the roller is new, it will absorb some of the glue into the nap of the roller, so you may need to increase the amount of glue until the roller is charged with glue. 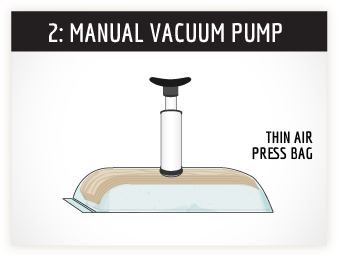 When finished gluing, do not rinse the roller. Store it in a air tight Ziploc®-style bag and use it again for your next builds. The roller will last for many builds, even to the point of the glue turning purple, as long as the roller is working, it will be fine to use. Q: Are there other rollers I can use instead? A: Yes, especially if you are using the larger uncut sheets of veneer, where a 9” paint roller would be better. Q: Do I need to use a glue roller at all? 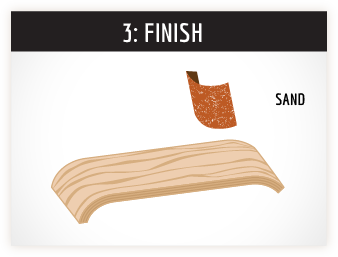 A: We recommend it, as it is really important to apply glue evenly over the entire surface. Using a glue spreader or piece of cardboard, is not going to spread the glue properly.